T he most important of all August events in San Miguel de Allende is the world-class Festival de Música de Cámara, the Chamber Music Festival. It sets the tone for the whole month, bringing music-lovers from around the world to our town. It's still the rainy season, but sanmiguelenses seldom let a little rain stop them from doing anything fun or interesting. And really, the rain usually only falls for an hour or two in the afternoon. So come on out, the water's fine! This is when the hillsides around San Miguel are at their greenest. I remember driving through the campo with a friend one August day, and I loved his description of the countryside. "It looks like Switzerland...but with cactus," he said. "And burros," I added, laughing. For an update on what else is happening in San Miguel this month, check our Current Activites page (coming soon). Early August - San Miguel Festival de Música de Cámara. 2007 will be the 29th annual edition of the world-class Chamber Music Festival of San Miguel de Allende. 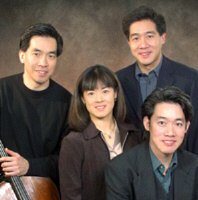 The festival's main focus has traditionally been the String Quartet, and some of the worlds best have appeared—including the Ying Quarter (perennial San Miguel favorites), the St. Petersburg Quartet, the Lark Quartet, and the Grammy-award winning Turtle Island Quartet. Every year, the Festival also presents the winner of the Van Cliburn International Piano Competition. Concerts are held in the historic Angela Peralta Theatre. The Festival's other focus is on music education. As many as 50 talented young Mexican musicians come to San Miguel for two weeks, living with local families and taking master classes with the performing musicians. They also give free concerts at Bellas Artes and the Sala Quetzal at the Bíblioteca Pública. Impromptu concerts in the Jardín are a common delight. Last year, the Festival directors lowered ticket prices for balcony seats, with some seats as little as $5 US. This Festival is a San Miguel institution and a "must see" for anyone in San Miguel in August. August 8 - Feast of Santo Domingo. The founder of the Dominican Order of friars and nuns is especially celebrated at the church of Santo Domingo. August 22 - Dia del Bombero (Fireman's Day). Expect a noisy parade through the centro with sirens blaring and crowds cheering. 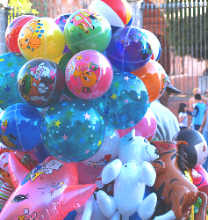 All-in-all, late summer is a wonderful time to be here, enjoying the August events in San Miguel de Allende.